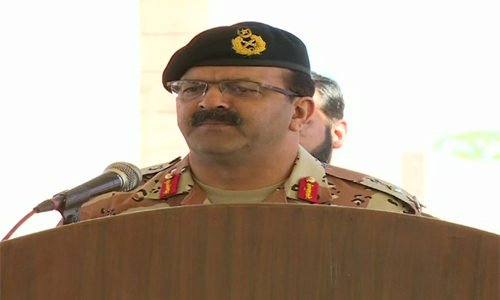 KARACHI (92 News) – DG Rangers Maj-Gen Bilal Akbar visited different areas and greeted the Rangers and police officials performing duty on Eid-ul-Fitr. After performing the Eid prayers, he met the security officials deployed at check-posts, mobile and administration duty. He paid glowing tributes to the jawans sacrificing Eid celebrations to protect the citizens and the motherland.